← Hard Rock Hotel and Casino Selects Core Technology to Install Digital Signage Network. Core Technology has begun selling news and weather feeds from AccuWeather. Universally, weather is one of the most sought-after pieces of information. Flight delays, canceled soccer practices, and forgotten umbrellas are all examples of weather’s daily impact. 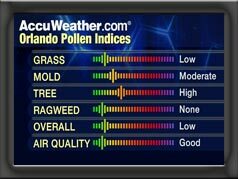 That means, the relevant weather content AccuWeather.com delivers, is sure to enhance the effectiveness of your digital signage. Weather content gains top audience ratings in every medium, while advertising adjacent to weather information commands premium rates. Weather is the number one reason viewers choose a local TV newscast, visit local Internet web sites, and listen to a particular radio station. 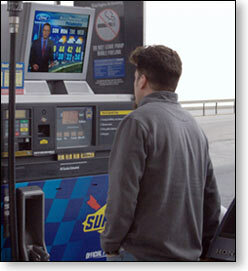 Weather content is versatile, enhancing advertising in a variety of venues. AccuWeather content attracts attention to screens as a value to viewers, but it can be coupled with advertisements to create Weather-Triggered Marketing® – making ads even more timely and relevant than with day-parting. 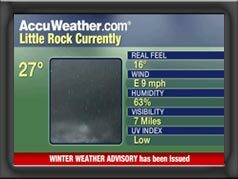 Use our weather forecast information to determine your advertising choices. For example, focus on ads for hot beverages on cold days or ice cream on stifling days. Contact us – or open a ticket on our support site requesting subscription info and pricing. AccuWeather.com offers four different types of ready to use graphical content modules. Choose from our many weather, news, health, and video options. This entry was posted in Digital Signage and tagged AccuWeather. Bookmark the permalink.